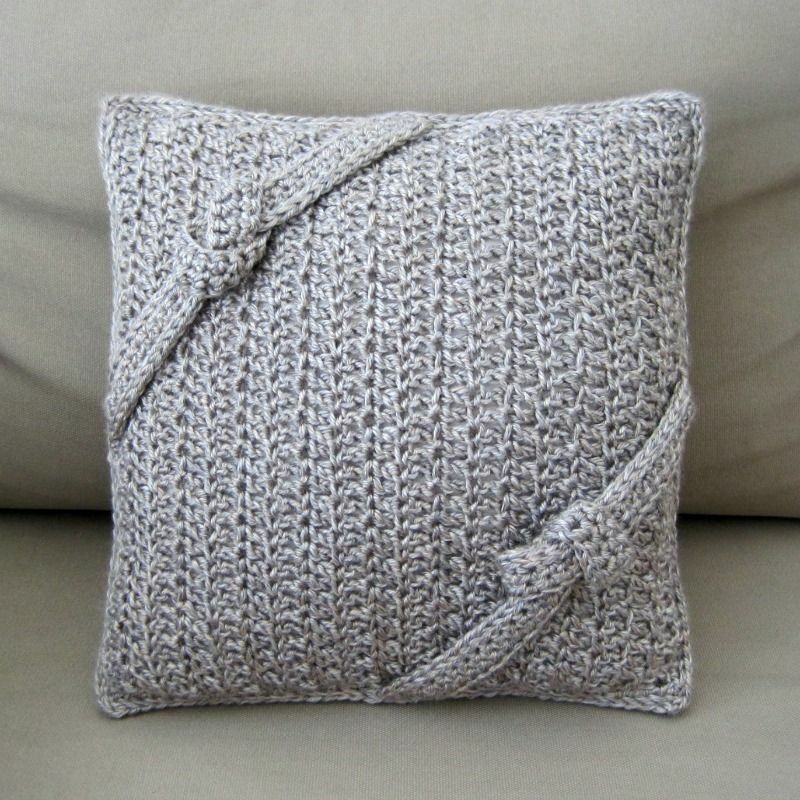 When I crocheted the Lodge Pillow last fall I was saying how much I liked the yarn. So the next time I was at Michael's, I purchased some more of that same yarn in the same dye lot to match my leftover yarn. I didn't really have any plans for it though, so it sat in my stash for awhile. 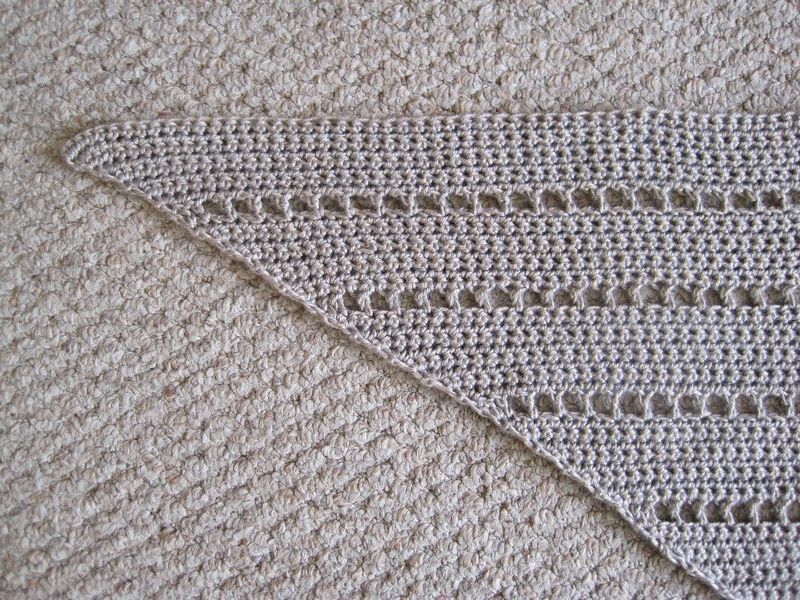 Until recently, that is, when I made this shawl with it. I will get to my latest shawl project, but first I want to talk a little about my yarn and fabric buying habit. When the new year started, I had made a resolution to try and use what yarn and fabric I had and buy less. I have an overpacked plastic storage container of both, which are crowded into a closet in my apartment. I really needed to stop buying for awhile to save money and so I don't run out of storage space. It's hard to cut out buying entirely, and for my fabric buying at least, it's about 50/50 right now using what I have versus buying new. Which, unfortunately, doesn't put much of a dent in my stash. For my crochet projects this year I have done a bit better. 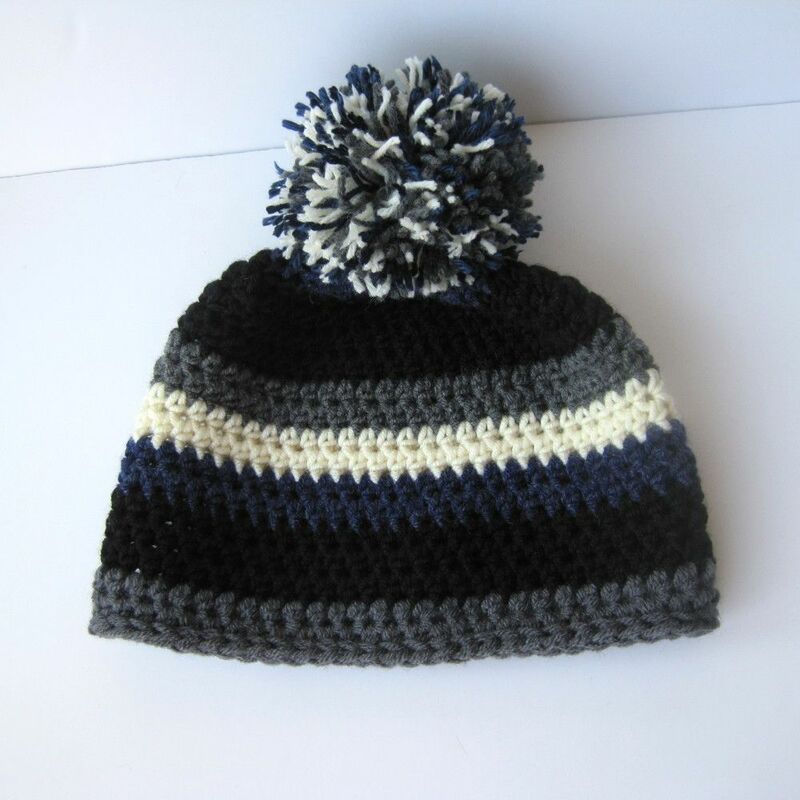 I used scrap yarn to make this Chunky Pom Pom Hat. I made my friend a Cloudburst Shawl using leftover red yarn and an unused skein I had in my stash. I then used up all (yay!) 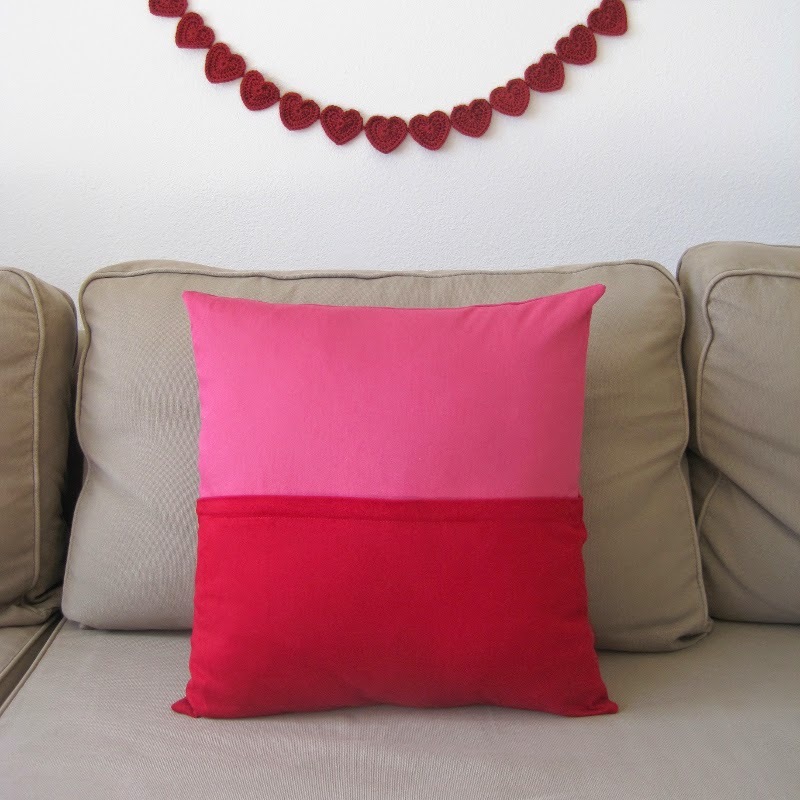 of that red yarn crocheting a heart garland for Valentine's Day. I even whipped up more Big Knot Headbands for my Etsy shop using yarn I had purchased last year. The only yarn I have purchased this year, I shamefully admit, was to make something for my self (although I do love my Triple Luxe Cowl). Now let's talk about my Royal Triangle Shawl. I was itching to crochet something, but wasn't quite sure what. Wanting to stick to my resolution, I decided shop my yarn stash. That's when I found the Lion Brand Heartland yarn in Grand Canyon. It's hard to tell in a photo, but close up the yarn has different shaded strands and has a nice sheen. Instead of having something in particular I wanted to make, I took the yarn and searched for projects that I could make with it. 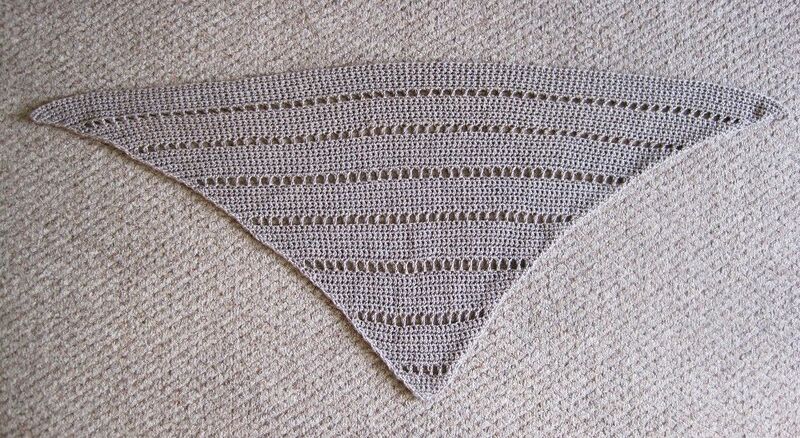 The main picture of the Royal Triangle Shawl I didn't think was too impressive, but I did like looking at the user projects. That's one of the best parts of Ravelry.com, don't you think? There are some really nice versions that are variegated colors and work up nice in this pattern. I decided to try out the pattern because a nice neutral shawl I figured would be easy to wear since it goes with most everything. As I usually do, I read the project notes of other Ravelry users first. 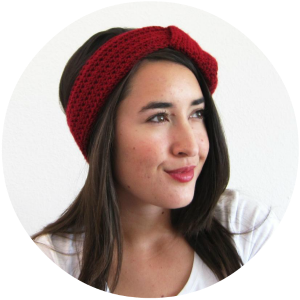 A lot commented on the impossible to achieve gauge, even when crocheting quite loosely. I didn't want the shawl too dense or warm, so I decided to start out with a bigger 8.0mm L hook to keep the shawl loose and drape well. Going up a hook size seemed to hit the recommended gauge spot on. Other than changing the hook size, I didn't make any other alterations to the pattern. After doing a couple pattern repeats, I got the hang of it and was able to easily crochet in front of the tv. I do like how it turned out. I wore it out this past weekend and even got a couple people complimenting it. 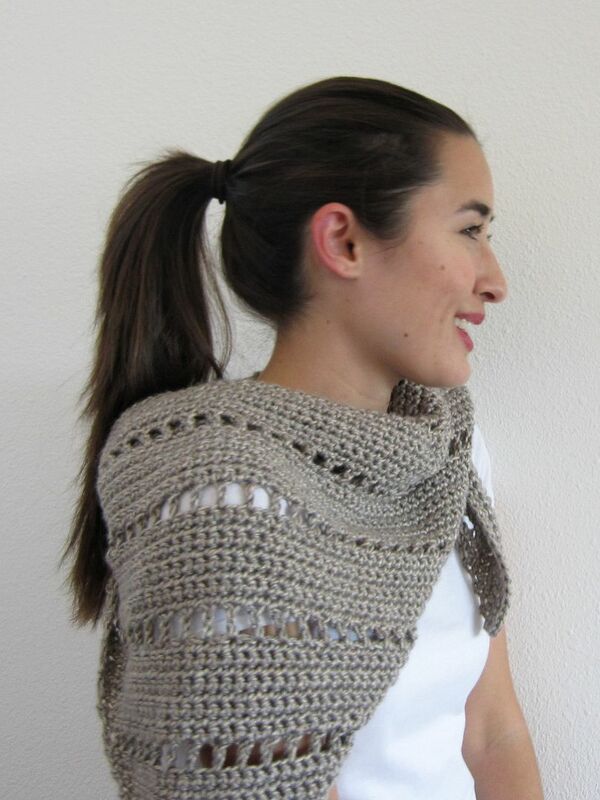 I would recommend this yarn and the pattern and I think it's beginner friendly too. I would save this pattern because I think it be great in a bright color as a statement piece or in multiple colors. A quick note about blocking it. The sides were curling a bit, so I steam blocked the piece. However, after a few wears it's curling right back up. A border might help prevent this, but I don't mind too much. It just gives it a definite right side and wrong side when wearing.